Thinking of renewing or getting a new contract with AT&T? if you’re a fan of the Galaxy Note 2 or Samsung devices in general, that might be a good idea. 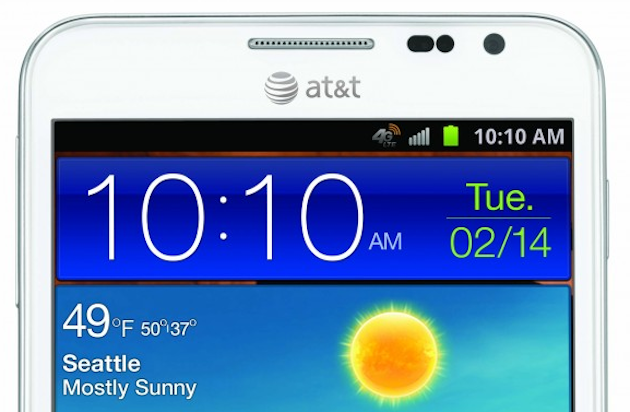 We’ve previously reported that the Galaxy Note 2 was a lock for AT&T. Today, we’ve got additional information revealing that in addition to the 5.5-inch phablet, AT&T will be including 3 other Samsung devices in their fall line-up. “Newly announced today are the Samsung Galaxy Express and Galaxy Rugby Pro. The 4G LTE Galaxy Express, which Samsung is aiming at first-timers, reintroduces the Super Amoled Plus display technology on a large, 4.5-inch screen. There’s also a 1.5GHz dual-core processor, a large 2,000 mAh battery, and a 5-megapixel rear-facing camera. The phone will run on Android 4.0 Ice Cream Sandwich. AT&T subscribers looking to get their hands on something even bigger than the Samsung Galaxy Note 2 will be pleased to know that carrier will also be making the Samsung Galaxy Tab 10.1 available to them. 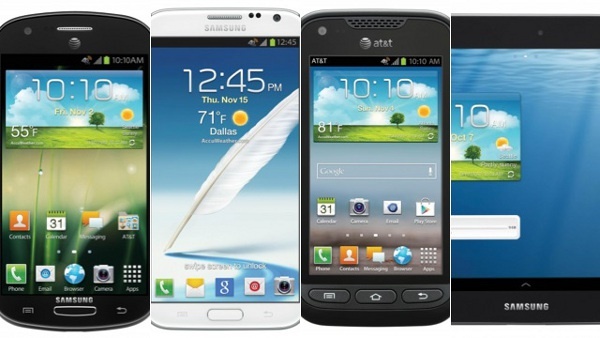 Which of these Samsung devices from AT&T are you most excited about? Let us know in the comments below!